This program has offered important and relevant information to my finances. Information I did not, and probably would have not, learned otherwise. It was an exceptional course for me, as I am on my way to rebuilding my credit. I would recommend this course to anyone in a similar situation. This was very informative. Thank you. Helped very much and changed my mind in a good way. I have really enjoyed this learning program! I as a parent am going to constantly remind my kids when they grow up and depart into the real world that they will have to be responsible. Thanks. Very eye opening to a variety of things I was blind to. I feel more confident for the future. This should be a required course for all high school students. Thank you for your help. I shall use the information that you have shown me today, and I will recommend this class to others. A very useful class I will recommend to much friends and family. It was very informative I definitely feel more confident. I wish I would have known about this class years ago. 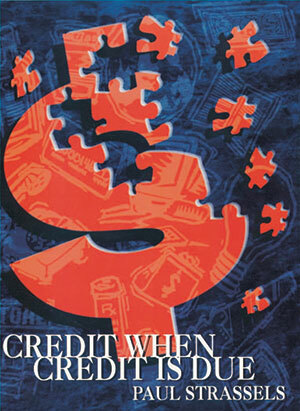 Overall, it was a great arrangement of credit information and helpful tips. A very good set of lessons on what you should do versus what not to do. Thanks for setting me on the road to financial freedom! An excellent class that has educated me on methods and procedures to utilize a budget wisely. I was aware of the information in most of this class. It did allow me to look deeper into my financial situations it is a very informative class. I learned a lot more in this class than in my high school finance class. This was a very helpful class, I hope to put all of this knowledge to use. I am glad I was able to take part in this. Thank you. This study is good because I learn more information very clear for me. I appreciate the material, and I learned a lot. Thank you. The class answered many questions that I had in filling for a credit card. It also gave me knowledge of some other options. Very interesting, everyone needs to take this class. An awesome class with great and very helpful information. I learned that I have to read everything that has to do with money or loans. Learned a lot of new things that help. It’s helped me a lot about how to handle my finance for the future. Thank you so much. This class was very useful. Great class. Because I'm younger, some things were a little more difficult for me to understand and comprehend with my day to day lifestyle like mortgage loans or other types of loans. I learned more in this class than in a whole semester of "Personal Finance." I really enjoyed this class. I learned a lot of stuff.